This podcast series focuses on the intersection of Consciousness and Self. This is our “Journey into Enlightenment.” At the core of human reality is Consciousness. Humans are self-defining creatures. We develop rule sets and stories that generate our experiences of reality. Consciousness is the state of awareness in each of us where our self-defined realities are only one of the many options in potential that could be expressed. 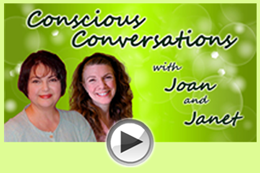 Each episode you will join Janet and her friends to gather in this core in Heart Centered Awareness. You will feel this state where time and space are malleable, potential is active and change in our day to day experiences can be felt in the moment. You will witness this sharing in the expansive variety of expressions of Consciousness, and as form and language in our physical and non-physical worlds. Experience new definitions in Self and join in the collective community we call Consciousness. Feel the difference in the moment that can last a lifetime. Listen to episodes on Spreaker, subscribe to the podcast on iTunes or visit the YouTube archive for Journeys Into Enlightenment with Janet Barrett. 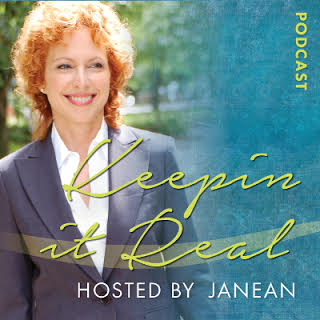 Episode 3: Conversation with James Johnson, Ph.D.
Consciousness and Being Free in the Body. The physical realm holds definitions as Self. Freedom is something we all want but few think and feel they live it. Janet and her friend John Ashford Jr. will consider our many conditions and about removing them to experiencing our Essence as Freedom in our human form. Out of body, our Soul enjoys freedom in being non-physical. There are no definitions. Our journeys of enlightenment are where we discover that Freedom found out of form is always within our physical form. 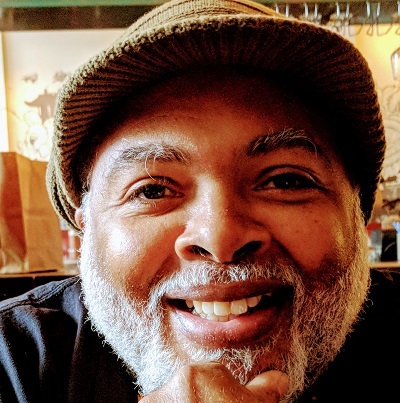 John/Akintola Ashford Jr. is absolute ferocious vitality, magic, humility, care and delight held with impressive natural intuitive talents and developed skill sets. Raised Baptist in Chicago, taken with Catholicism at age 13, graduated from Rockhurst Jesuit University with a BA in Communication and French, he studied a year abroad in Aix-en-Provence, France and studied Sacred Geometry in Northern Spain. For the last 30 years, he has been focusing on youth and their families. He has been a Juvenile Court Counselor for over 28 years for Multnomah County in Portland, Oregon. He was part of the first gang unit in Multnomah County and was Lead Worker for the Save Our Youth Program which dealt with conflict and violence. Nationally, he has trained several agencies on how to be more effective with families plagued with violence and trauma. He has done leadership training in Sweden, and he facilitates mediation, difficult conversations about race, and unlearning oppression through Resolution NW. He facilitates Domestic Violence and Fatherhood classes for Sovalti, and Empowerment classes for young African American Boys for YMEP. He also has an active Energetic Healing practice incorporating his trainings and life experiences, as well as his trainings in Conscious Technologies including Matrix Energetics. John is now certified in Access Consciousness/BARS, ESB, SOP as Facilitator. He has a Black Belt in Traditional Taekwondo-Do. He is certified in Wuji Cinnabar Tai Chi/Meditation. I consider myself a facilitator of Consciousness. I’ve had tons of life experiences and formal trainings. I’m not responsible for anyone being better. That is your personal journey! My job, if one chooses to work with me, is to facilitate change, bring magic, ask questions and challenge you to live in the moment. What else is possible when we get stuck? I like the quote of Malcom X “By any means possible”. You can reach him at John@beingjohnashford.com or his website www.beingjohnashford.com. It refers to letting go of your past, your future, your story in the moment to register the space between all of that. Where change is possible because you are not in your habituated reaction state. Reality is our constant creation, so it gets automated, habituated to make it easier on our sense of Self. It is a series of choices on the quantum levels. In a blink of an eye, which is really quite slow in quantum terms, you can register something different, something new in every blink. Reacting vs responding. These are two different actions available to us. Triggers are us reacting unconsciously with the habituated story getting activated. When we are in a response action instead, we have realized the trigger and stopped the reaction. Our awareness that is then present has time to form and will often bring about a different state of being that can then engage as a new pattern in behavior. John loves anything Star Wars, Avengers, the Matrix and films with sci-fi and paranormal references. They explain the scope of his inner visions. May the Force be with us. Star Wars series script writers say it best. We will just mine some in John’s delightful inner space. Listen to the meditation, “Notice your Focus” featured in this episode. It adds flavor and other references. Enjoy a few moments of peace, composure, and mental expansion at Interlude: An Internet Retreat. And while you're there, check out the extensive archive of meditations. You're sure to find one that speaks to you, whatever you're experiencing in life. Freedom means anything is possible, so our sense of choices expands. Yet, our jobs, our titles, our what-evers can develop into a sense of a loss of freedom. We think and imagine that not enough money, education, support, love, the family dynamics etc. etc. limit the choices. Podcast theme music composed by Boyd Martin, Mystic Broadcast Network . John's theme arranged and produced by Boyd Martin, Mystic Broadcast Network . Help keep this podcast alive. Simply enter my email address on PayPal: janetb@janetandbeyond.com . Listen to shows from the archives. Four years of timeless material. Past, present and future need not apply.